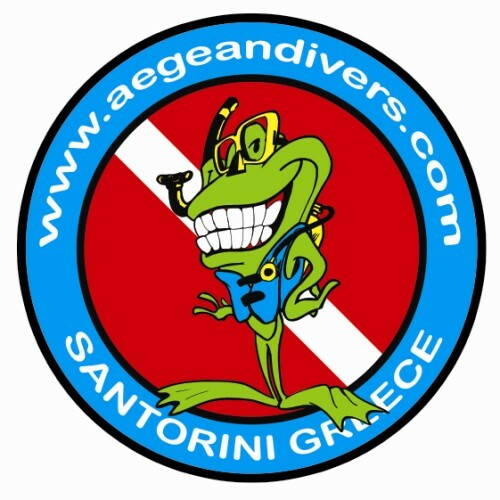 You can spend a full day diving with us and explore three different dive sites of the amazing underwater Santorini. Price includes water and a small snack between the dives. Diving in Santorini might not be with big school of fish or very rich marine life but the biggest interest for a diver is the underwater geomorphology. The great volcanic eruptions that shook the island over the centuries have created magnificent underwater scenery giving scuba diving lovers endless options for wall dives, ship-wrecks, caves, reefs and never ending drop-offs around the Caldera and the Volcanic islets. 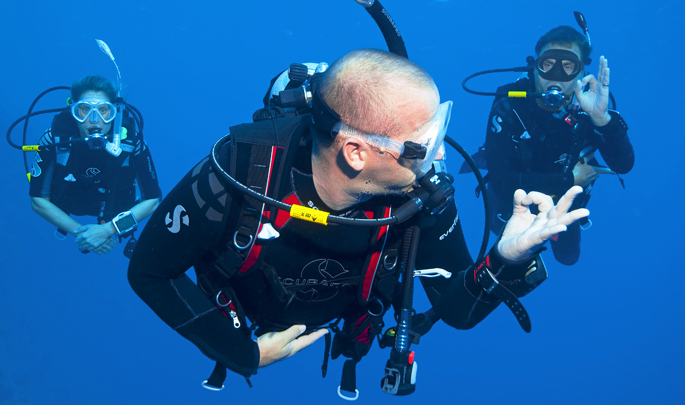 Please note: All dive locations are subject to weather conditions.